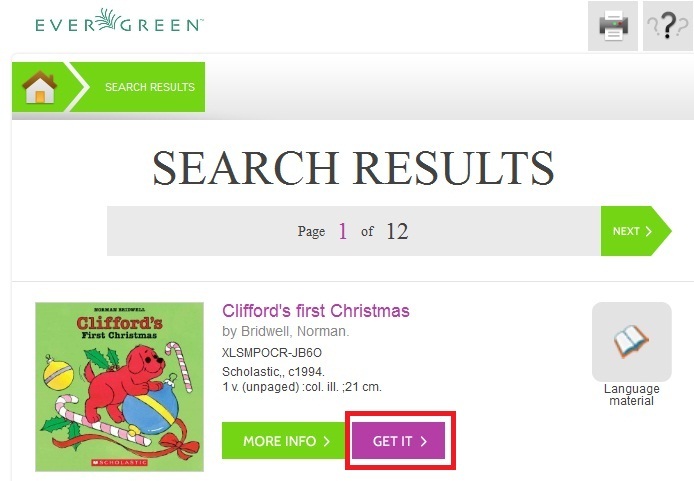 From the search results, click the Get it! link to place a hold. The brief information about the title appears, and, if you have not yet logged in, the Get It! panel appears with fields for username and password. 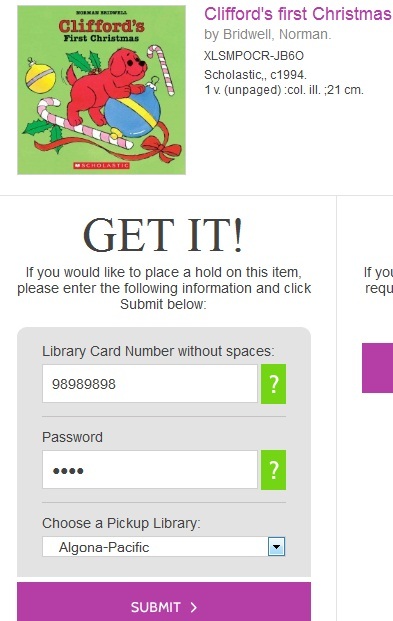 Enter the username and password, and select the pick up library. Then click Submit. If you have already logged into your account, you need only to select the pick up location, and click Submit. A confirmation of hold placement appears. You can return to the previous record or to your search results.